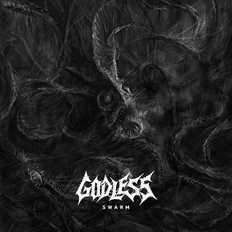 Formed in mid-2015, Godless is a four-piece Thrash/Death metal band from Hyderabad in India. Although a relatively new band, Godless features members who have been a part of the metal scene for quite a few years with their respective bands (Skrypt, Shock Therapy & Eccentric Pendulum). The band plays a heavy, abrasive and raw brand of thrash influenced death metal with elements of both the new and old school. Godless signed a record deal with Transcending Obscurity Records and released their debut EP Centuries of Decadence on the 7th of May, 2016. The record was met with rave reviews from all across the world. The EP was even rated as one of the best releases across India on various websites and magazines, including Rolling Stone. In 2017 the band embarked on what was one of the biggest metal tours held in India along with Psycroptic from Australia. They also supported Jeff Loomis (US) on the Delhi leg of his India tour, and Minshift (Sweden) on the Hyderabad leg. In 2018, Godless went on to perform at Wacken Open Air, Germany. They also completed work on their second record, Swarm, which takes off from where their first record leaves off and heads in a faster, thrashier and more aggressive direction. Godless have established themselves as a powerful force in the Indian metal scene. They are one of the few bands to have toured so extensively and booked gigs at the biggest metal venues in the country — all in their very first year. Also popular for being one of the hardest working bands in the scene, Godless aims at growing further and further. Combined with the band's dark aesthetic, Godless offers a relentless visual and aural live experience.